Although OSHA does not typically require safety audits, most major companies require their suppliers to conduct regular safety audits as part of their procurement process. Safety audits help you determine how effective your safety programs are, and we believe they are an essential piece of your safety management system. 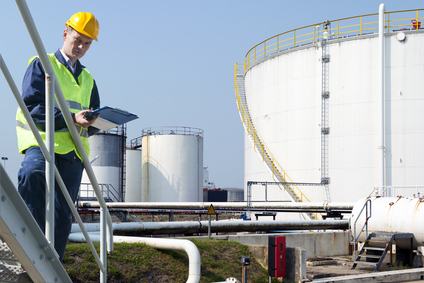 Safety audits can be performed internally by supervisors and employees, or by third party auditors when you need an independent, non-biased audit of your operations. To determine if you your Safety & Health programs and procedures are working. To verify that your employees and management are engaged in your safety programs. To verify that your processes are in compliance with company policies and regulations. To verify compliance with applicable OSHA rules. To determine if you are documenting your safety and health program activities properly. To discover and identify potential hazards. To evaluate the effectiveness of existing management controls. To check the safety of your workplace. To check the safety of your equipment. To evaluate the adequacy of your supervisors' safety training and performance. To evaluate the adequacy of your employees' safety training and performance. Safety audit and inspections have been shown to reduce the number of accidents, so it is something that benefits most employers. We recommend that you be proactive with safety, rather than waiting for an accident to happen. If you lack the resources to do site inspections and audits in-house, you can outsource these services to a safety consultant. To learn more about how to outsource safety, click here to download our free guide to safety outsourcing.